The Grant Lodge Trust campaign group hosted this event to gauge public reaction on the proposed community asset transfer plan to restore and reopen the historic Elgin landmark. 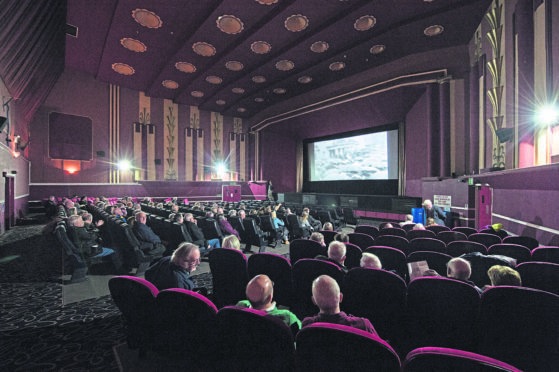 Five short films were aired at Moray Playhouse cinema showcasing the region at different times throughout the 20th century. Footage from the 1951 Keith Show was shown, along with a film dating back from August 1903 when Grant Lodge and Cooper Park were both gifted to the town of Elgin. http://www.insidemoray.com/grant-lodge-past-present-future/Article today from InsideMoray regarding the future proposals for Grant Lodge. Other recordings showed massive crowds gathered at an Elgin gala in 1933 and 1935. They were borrowed from the vaults of the National Library of Scotland. 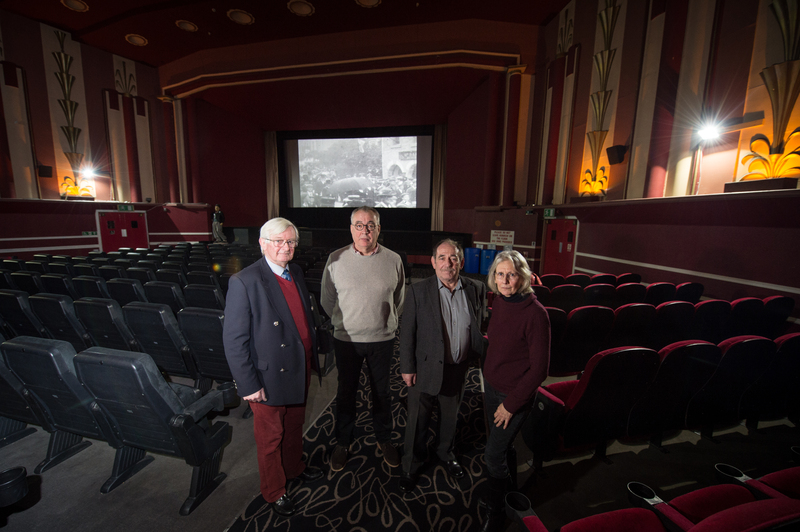 Grant Lodge Trust chairman and Lord Lieutenant of Moray, Grenville Johntson, was pleased to see a high turnout at the cinema, where 86 locals showed up to watch and show their support for the group’s campaign. He said: “I’m absolutely delighted as we had no idea how many people would attend and it is the evidence we needed that we have got the people of Elgin interested in Grant Lodge. “I thought the films were delightful, I have a photo of when I was a small boy dressed as a Canadian Mountie on one of those horses you used to pump up and down, taken at what’s now the car park next to St Michaels on Northfield Terrace and that’s where the Gala formed up on the procession. Grenville Johnston, Chairman of The Grant Lodge Trust, Stuart Huyton Boear Member and media officer for Friends of Grant Lodge, Alastair Kennedy, Maureen Manson and secretary of the Friends of Grant lodge. It was also the first time the group had viewed the films. Member Stuart Huyton said: “We’ve only seen the one about the opening day before because I found that online by chance when searching for Grant Lodge. Grant Lodge is one of Elgin’s most well-known attractions but has been disused since a fire took hold which started in its basement 15 years ago. The Grant Lodge Trust wants to lease it from the Moray Council and refurbish and reopen it up as a heritage centre. A public meeting will be held to discuss plans for the Georgian-era building on Wednesday January 16 at 5.30pm at Elgin Town Hall.